I have a 21 month old baby girl, and she says almost nothing. Some people say that she is late, but I want to think that is because she is hearing two languages. Is it normal that she isn’t saying many words? The first question her to answer is bilingualism really causes language delays? There is a very common idea that bilingual child is a late talker compared to monolingual child because she is processing two languages. First of all, there is no scientific evidence that bilingualism causes language delays. And there were numerous studies that covered this topic. For example, Psycho linguist Dr. Kimbrough Oller compared language development of babies on babbling stage. Both of the groups -bilingual and monolingual babies- started repetitive babbling (like ba-ba-ba) in the same age. In other words, it did not take bilingual babies to reproduce sounds because there were exposed to two languages. As we see the idea that bilingualism is the reason for language delay is a myth and is not supported by any research. Now, is your daughter really late talker or she is on the far edge of normal development? Now that we know, that bilingual and monolingual children develop in the same pace lets see what 21 month old should say in her age. “First words come on average between 10 and 18 month. Average expressive vocabulary for boys – 75, with range from 13 to to 420 words. Average expressive vocabulary for girls at 18 month : 112, ranging from 17 to 475. We do not worry if the child does not have any words until after 18 month. It is more of a concern if a child does not understand any words at that age. So what a parent of a late bilingual speaker should do? Carol, you mention that your daughter says almost nothing. My understanding she still says several words. My advice, record the words she is saying in a daily log for about a week, sometimes parents don’t even realize that their babies say more words then they think. Count even words that no one except you understands, but your daughter uses them consistently referring to to something. Pearson also makes stress that it is even more important that your 18 to 24 month old toddler understands what she has been told. Lets check if your daughter has a good understanding. Try this activities for a week. Intentionally give your daughter simple directions, like bring me your shoes, or throw it in the garbage (kids love to clean when they are little and then this love vanishes somehow:) and then see if she can easily understand what you are asking for. Also, the good game to play would be this one. Choose several object or toys, put them next to each other and ask her to bring you one of the toys. Another one, ask you child to identify body parts – hers and yours. Fro example: Where is your nose? Where is mommy’s nose? Here is my personal experience: from this guidelines, I should say I had to ring alarms with all of my children . Well 3 of them, because the fourth one is only 10 month. It is especially true for my son. His first and single word “no” in Ukrainian came at around 24 month. And only by age three he started to produce understandable two-word phrases. Now, after you recorded your daughter’s speech abilities, what next? The chance for children (monolingual and bilingual) to have language disorder is around 5 to 20%. That is a huge range. The reason why is is so big, because the delays and disorders can come from very minor and temporary to more severe ones. Your daughter most likely just on the later edge of normal speech development. Bluntly, it does not mean she will have learning difficulties in the future. The iconic example: Einstein did not talk until 3 years old! But, it that small chance that your daughter could have language delay scratching your nerves, right? And again, it is not because she is being raised bilingual, it is just because there is chance for all kids – monolingual and multilingual. So, around 2 years old I suggest you to evaluate your daughter by professional – language pathologist, preferably the one, who specializing in bilingual children. Why not just regular one? In the end, there is no difference between monolingual speech development and bilingual. The reason why, you just don’t want to have specialist telling you to drop one language so she can start talking faster. Also you want speech therapist to evaluate you daughter in both of her languages, not just one. Carol, I hope my answer can help you and your little one. 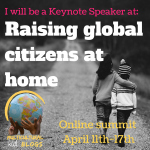 If you, dear reader, have a question about raising bilingual children send me a quick email at olena@bilingualkidsrock.com and I will try to help you as much as I can.